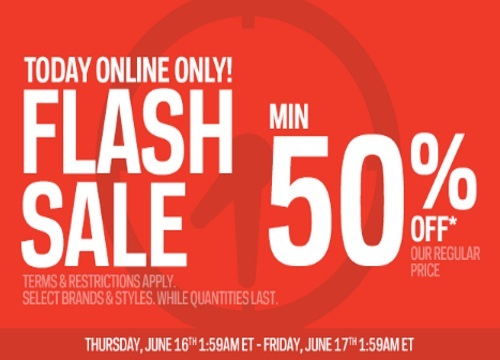 Sporchek has a Flash Sale on now! Save a minimum of 50% off select regular price items! Plus get Free Shipping on any sized order. This sale is on select brands and styles, while quantities last. Offer is valid Thursday, June 16-Friday, June 17, 2016.